Why do Cats Love Socks and Shoes? Whenever we get home from somewhere, whether we were out for a walk, a bike ride, or just running some errands, Chase, Aria and Kali go nuts for our socks and shoes, and sometimes our bare feet. It seems disgusting, but a lot of cats seem to absolutely love smelly, disgusting things. There are several possible reasons for why cats love socks and shoes. Metaphorical Platypus says that the first possibility is that our feet carry a high concentration of sweat, and thus, scent. 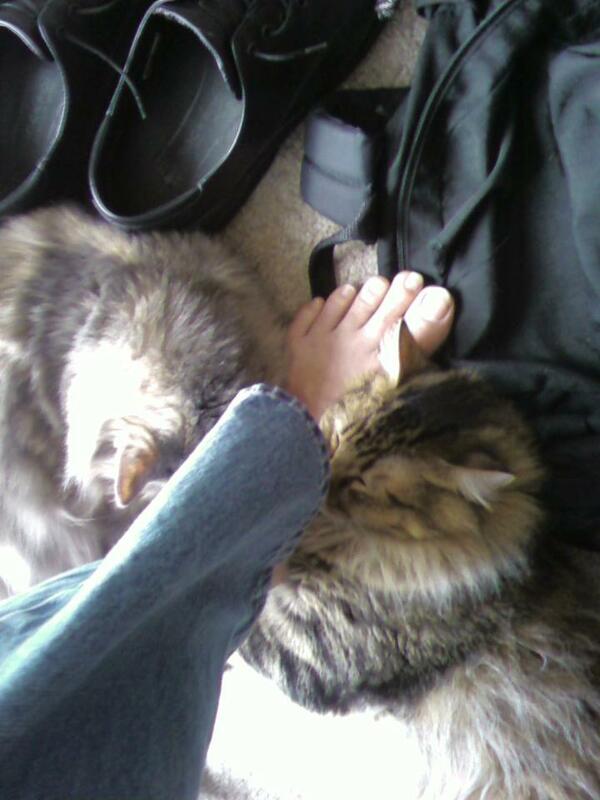 Our cats find our scents comforting, so they absolutely fall in love with the smell of our feet. Cats love socks and shoes because they carry high concentrations of our scents. That doesn’t really explain why cats might love the soles of our shoes, though. That can’t possibly carry our scents, right? Metaphorical Platypus lists the second reason as the scent of the outdoors, and other unfamiliar scents. So there’s a possibility that cats love socks and shoes because they’re covered in all sorts of interesting smells, and our cats are trying to learn where we’ve been, and what we’ve been doing. When they rub their cheeks and foreheads on our shoes, they’re re-depositing their own scent. Cats have scent glands in their cheeks, foreheads, lips, front paws, flanks, and rears, according to Petplace. Their rubbing behavior is a way of claiming something; once it has their scent, it’s part of their territory. So when they rub on our shoes, they’re reclaiming our shoes as part of their territory. Metaphorical Platypus says that another reason cats love socks and shoes is because of our pheromones. 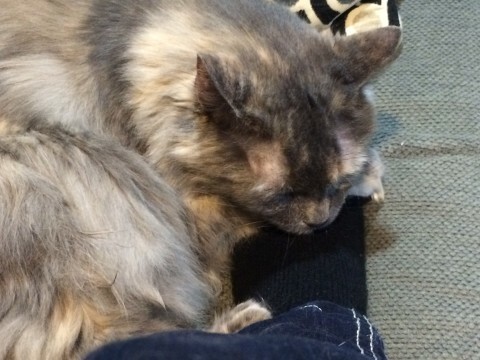 Cats react to human pheromones the same way they react to catnip, so they love on our socks and shoes because the pheromones have that same effect. It comes down to this: Our cats love socks and shoes because they’re smelly. They carry all kinds of scents that we either can’t smell, or would rather not smell. To our cats, though, those scents are intriguing, they’re a little confusing, and they’re comforting. Next time I walk in the door and one of our cats decides to claim my feet and my shoes, it will be because they’re trying to learn about where I’ve been and what I’ve been doing; they’re comforting themselves, and they’re reclaiming their territory.